Colonic diverticula occur when mucosal and submucosal layers protrude through weak points in the muscle wall. Most patients with diverticular disease are asymptomatic, but some may experience abdominal pain without inflammation. Diverticular disease may develop as diverticulitis, with or without perforation, or diverticular hemorrhage. Episodes of acute diverticulitis present themselves with pain in the left or right lower quadrant, depending on the location of the diverticula. Patients may also exhibit fever or other non-specific symptoms like anorexia or nausea. 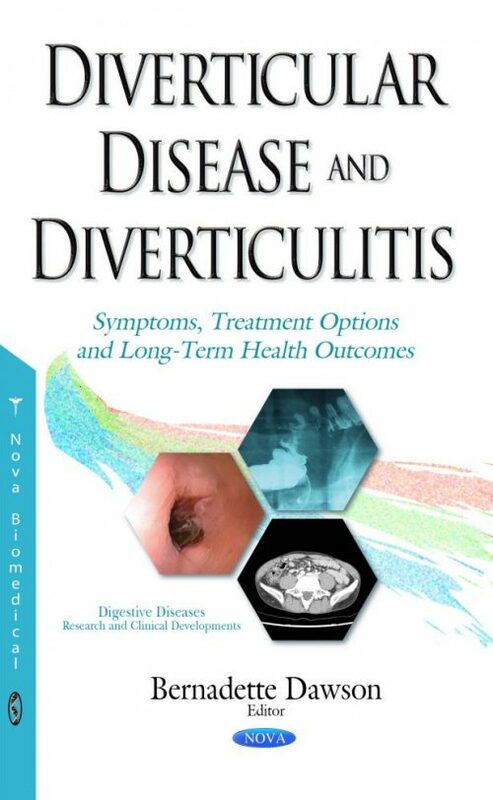 This book provides a review of the symptoms, treatment options and long-term health outcomes of diverticular disease and diverticulitis. It also examines management strategies for acute complicated diverticulitis, and discusses diverticulitis of the right colon.